When performance of their old sortation system increasingly began to slow down because of sorting errors, Belgium based fashion retailer E5 Mode knew they had to take action. On average E5 Mode processes 20,000 flat garments per day in their warehouse in Sint-Niklaas. Their online webshop and 70 points of sale have to be supplied fast and faultless with clothes and accessories. Equinox´s Sorter Doctor Upgrade Program renewed the system and helped them save time and money. Improve the sorter installation’s ergonomics. Find a solution to do this with an attractive ROI.  Equinox first thoroughly examined the system by executing a quick scan to determine what could be reused and what had to be upgraded or replaced. In the case of E5 Mode all moving parts such as chain, gear and wheel and the electrical components had to be replaced. The total upgrade just took 11 days. After the machine was stripped to its bare frame, Equinox raised the whole system 17 cm. This allows the operators to induct items or replace cartons much easier. The height of the induction tables at the working stations was adjusted too. The scanning cameras and touch screens are now fixed to flexible mounting arms. The system as a whole has been upgraded to the latest working safety standards. The existing software & control was no longer supported by the original vendor. Equinox replaced it with Starsort & Exact. Both systems are NEN-ISO 9001 certified and are always updated and supported. The software & control was integrated with E5 Mode’s host system without any problem. Small items could not be detected very well in the sorter´s old trays. New Equinox trays solved that issue. E5 Mode’s logistics manager also considered replacing the sorter with a new one from the original manufacturer, but the investment in Equinox’s Sorter Doctor Upgrade Program turned out to be much more attractive. Furthermore, Equinox MHE could upgrade the sorter soon after the contract was awarded. In summary, this is an upgrade program for any kind of sorter installation that is no longer well-functioning. It does not matter whether it is caused by outworn components or outdated software. After a Sorter Doctor Upgrade Program every sorter is working effectively and accurately. Just like it should.